CMSMS is an open source content management system that allows easier and faster website content management and is used by both small and large businesses. It features SEO friendly URL’s which tune your website for search engines reception. CMSMS gives integrated and online help. CMSMS gives you full template support and the look of the website can be changed easily without having to change the content. It supports multiple languages thereby enabling you to cater to larger audiences. 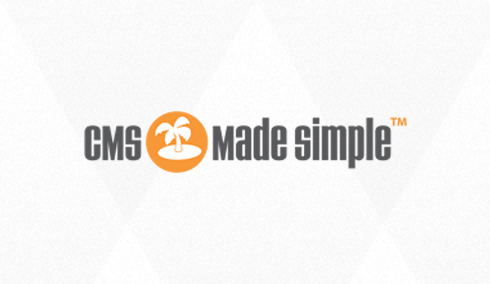 CMS made simple has got features that enhances your website design. It is XHTML and CSS compliant in the first place. You can have an Auto-generated Menu and each page can have a different unique theme with multiple content areas. During the design phase itself, our CMS experts will research on your requirement and help select the best themes, plugins and also go for scalable architecture for future expansion of the business. Our expertise includes CMSMS theme development, CMSMS plugin development and customization and CMSMS application development where CMSMS is used as a framework to develop the project. Our CMSMS team is made up of talented programmers and designers who have in depth experience in Content Management System development projects. Our team can assist you to build, upgrade and maintain your website. Any custom requirement is fulfilled by implementing innovation and expertise to develop plugins. To stay ahead of others our designers will help you to create pixel perfect themes. If you are looking for a custom feature to be added to your CMSMS blog or website, which is not readily available online, Quintet Solutions offers custom CMSMS plugin development services, including upgrade and maintenance framework as well. We have a dedicated team of experienced and qualified CMSMS developers who strategically creates custom CMSMS plugins that are based on our client requirements. After our analysis of your website or blog we offer solutions that improve overall effectiveness of your business. The CMSMS integration services is all about helping you take CMSMS to a whole new level and to integrate it with social media like facebook. With our experienced Engineers we can help you show your presence on social media for bringing more visitors and business. Facebook integration has proven to be beneficial for businesses and we can help you reap the benefits.